From coconut fringed beaches and crystal clears seas to rocky mountains and a desert straight from one thousand and one nights, Oman’s landscape surprises at every turn. The first episode of Oman Life travels through the country, exploring its most stunning scenery. The south of the country is also known as the “Caribbean of the Orient”. Every summer the Dhofar region around the city of Salalah catches some Monsson rains and turns into a green paradise. And when it rains, the nearby valley reveals its stunning beauty. The natural park Wadi Darbat straddles the hills. 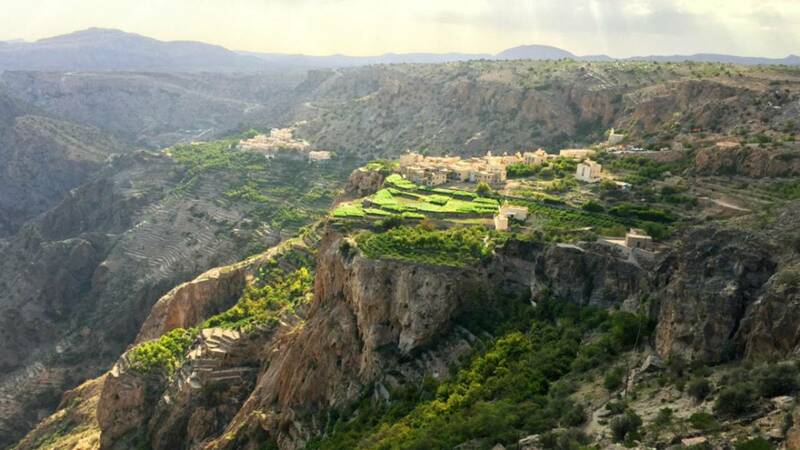 With the enchanting “Scent of Oman” wafting us along, we continued the journey, going north to another green paradise: the “Jabel Akhdar” mountains, also called the “Green Mountain”. Clinging to vertiginous cliffs were orchards growing figs, peaches, apples, roses and pomegranates. It’s all possible because of the 4,000-year-old UNESCO world heritage irrigation system Falaj. These ancient water channels are an ecological marvel;sending water run through the villages using the natural slopes. From the “Alps of Oman” to the sands of the Sharqiya desert, locals and tourists alike love driving up and down the dunes. They’re up to 200 metres high. They say it’s an adrenaline packed experience, almost like being at sea in a storm. The fabulous dunes stretch to the edge of the Indian Ocean. The desert is more than 6,000 years old and home to the Bedouins. Salma Al-Wahaibi and her family have lived here all their lives. She wants to keep their heritage alive and pass on her knowledge to the next generation. She says they have maintained their traditions including keeping camels and sheep, just like it was in the past. In the next edition of “Oman Life” we’ll explore the country’s rich marine life and witness a unique natural wonder: we watch the eggs of the endangered green turtle being laid and then hatching.